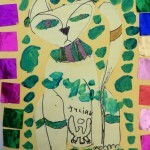 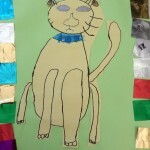 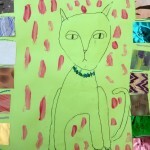 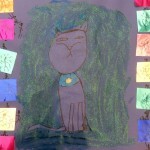 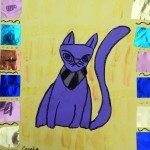 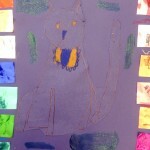 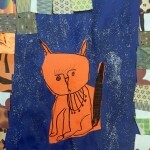 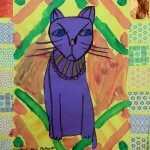 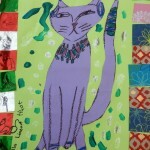 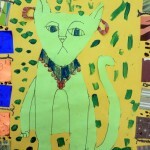 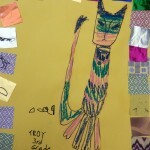 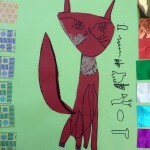 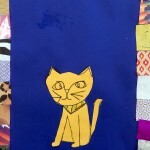 Third-graders made these fantastic felines based on the majestic cats of ancient Egypt. 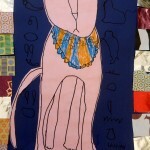 Cats are important parts of our families now, but, in ancient Egypt, they played a role like no other housepet. 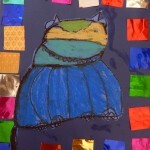 Cats were sacred for many reasons, but the biggest one was their protective nature. 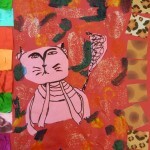 They could control vermin and kill harmful snakes like cobras, and saved many of their humans’ lives. 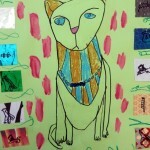 A handful of Egyptian goddesses possessed catlike forms and qualities, and cats were mummified in the same manner as their humans when they died. 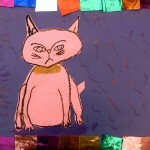 There were laws protecting cats, and, if one were injured purposefully or accidentally, the punishment was severe. 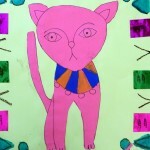 if a cat was smuggled out of Egypt, armies would be sent to retrieve it. 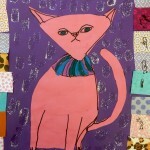 It’s amazing to think that our fuzzy, purring pets came from these amazingly noble, strong, and protective animals.